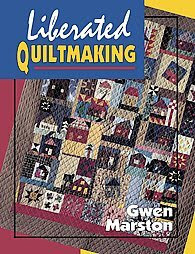 You are a fan of Gwen Marston and love her books (Liberated Quiltmaking, Liberated Quiltmaking 2, Liberated String Quilts, Colloborative Quilting, etc). You want to share your joy of quilting with like minded people. You don't mind if your seams don't match, or the points on your triangles have been cut off. You don't use patterns or kits. You go where your muse takes you. You don't participate in BoM's (heaven forbid). You make the odd art or traditional quilt, but prefer the liberated look. You say "boo" to the quilt police. You love quilting for quilting's sake. House rules for the ring (yawn). Membership of the ring is by invitation only. If you feel you are liberated then you are more than welcome to submit your blog for consideration by leaving a comment and include a brief description of why you think you are "liberated". Please do not be offended if you are not accepted, there are loads of other quilting web rings out there, one of which is bound to suit you. Blogs have to be more than 2 months old before they can be submitted for consideration and you must post at least 3 times a month. Blogs will be removed from the ring if they are inactive. You focus on liberated, unrestricted, outside the block quilts. Traditional is sort of ok, as are the odd art quilts, but, as we say above, liberated is your true style of quilting. Photos are necessary. We want to see what you are working on. fabulous, Clare. great job setting this up. Umm... I do kind of do 'art' quilts, but they're always based on liberated techniques! My blog is not strictly for quilting as you can see from the title, but I'm doing lots more liberated quilts now and really getting tired of the old ones. I've never done a BOM. Does that work? I would say liberated quilting best sums up my current quilt approach. I would love to be part of this group/ring. Just bought my first Gwen Marston book and can't wait to try it out !! Hope that qualifies me !! Anything that stops me worrying about 'points' has to be good ! I would love to join as you can see by my blog I love Gwen Marstons style and am learning to incorporate it more and more into my quiltmaking by my lastest quilt ! I would love to join this ring. I'm trying to become more free in my quilting, and Gwen's books are a huge influence on that. I've always been a rebel, and now I'd like to rebel against the quilt police! Life is too short for all those rules in something I do for fun. I've been in two of Tonya's online classes (first ever and summer) - you can visit the summer class blog but the other was open only to those of us in the class (unless Tonya lets you peek in). Hope you'll consider me for the liberated quilting ring!! (Any questions, just ask...). I think i'm liberated LOL... I quilt for me, not for the rest of the world.... i don't stress on seams being off a little, star points i try to keep them but if they disappear then i think of them as just being behind the cloud ....... patterns sometimes..... art quilts are a someday dream. Hi! I would love a consideration! I started quilting with a sort of rebel attitude, my teacher wanted perfection and that just drove me mad. It took a little time for me to be able to set that first impression aside and just enjoy putting all those fabric colors into something that came out fabulous, it was truly liberating and it is also one of my main encouragements for fellow quilters to just let go and dont worry if the point isn't just so and if you love that print then put it in there! It truly does work out in the end and that piece will be much more loved by going with it! Lol, a book here! Thank you for taking the time to read this! ps I love Gwens style and just had opportunity to take a class with Joe Cunningham! Can I join? I haven't been too prolific this summer and have been working on applique that I can carry with me, but I like and often do very wonky things. I'm often inspired by a pattern I see but it is rare that I make it without many changes. I'm not much of a group joiner but this looks like just what I need and would enjoy. Ohhh....me me me! Can I join?! I try out lots of different ways of quilting, and I am really enjoying sewing wonky blogs, and working with scraps! I'd like to join also, I do a lot of string quilting and while my style is probably more traditional and scrappy, I'm working at becoming more liberated in my quilting. I tend to be a planner but do prefer to come up with my own quilts rather than follow patterns. Your description of liberated quilting describes exactly the type of quilting I do. Please come and see and add me to your list! Oops. 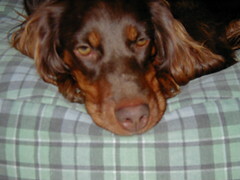 I forgot to say that, of my four blogs, the one with the quilts is dallan-cloudcovercottage.blogspot.com. i'd love to join/be considered. I usually have some kind of ides of how things will go, and just do my own thing. I definitly don't care whether seams line up perfectly, which drives my husband crazy, he wants me to fix it. but quilting should be fun, and i spend all my time making sure its perfect id never get anywhere. Hey there, I am not sure how to reach you, but I thought that this might work. I need to figure out how to put the Liberated quilt ring badge back on my blog. Do you know where I can find it? Thanks! Please add me to the waiting list. I am a liberated quilter and a BIQR repeat attendee, though sadly, I won't be there this year. I took my first Gwen class at Sisters, and can truly say I loved it! Liberated Baskets was truly so very fun! I'm actually too liberated to join things and don't like being labeled. But as my work speaks for itself, I guess a rose by any other name is still a rose...or in my case, perhaps a field mallow ;) So, as mallows do, we spring up everywhere and tend to spread a bit of unregulated color whereever we are. I guess that makes me some kind of wild and abandoned liberated who doesn't use patterns, re-purposes fabric, and does pretty much what she wants, when she wants. Hmm...I guess I am in this line after all ;) Oh yeah, I've met Freddy and Gwen and hugged them both and I'm madly infatuated with Freddy's husband,Neal, too...ssshh, it's our secret! please help- i think i'm liberated, but what's a BoM? I went around the whole ring and read each blog. Some of the women almost never even quilt, and I went back months, some never post, and lots are super traditional by my standards. What's up with this? Also, there are only 28 or maybe 29 in the ring because a couple of names got listed twice over the two pages of the home page list. Gosh, this is a great idea! I'm not sure I fit the profile you are looking for, but in any event...I just make quilts and love doing it. Hi, I was a member, did I get dropped? Hi! Greetings from Finland! This is first time I heard liberated quiltmaking. I am very interested. Thank you very much! It's very nice to see your web-site! Love your page! Love your inspirations for creativity! This blog and the web ring are not affiliated to Gwen Marston. We are completely unofficial, just love her work and want to share what we do with other like minded people.